On Wednesday, the House Taxation committee picked up the massive proposal carried by Republican Rep. Kerry White. "We have all these visitors from out of state putting pressure and impact to our infrastructure, and we’re not capturing that money from them to pay for that." White says House Bill 300 targets the pockets of out-of-staters. But opponents say it will also cost low-income Montanans, creating a more regressive tax system for the state. White says he wants to see relief for property taxpayers who are having a hard time affording the value of their land increasing. "I want people to own their homes and dwellings rather than to continue to rent them from the government. I want farmers, and ranchers and forest landowners to stay on their land and keep the farms and ranches in their family." White's proposal comes as the state is on the mend from a collapse of the general fund budget, which resulted in several rounds of government program cuts affecting vulnerable populations in the state. In the aftermath, Democrats and Republicans called for the state to examine how Montana’s tax structure taps into recent changes in the economy. According to research from Bozeman based Headwaters Economics, a link between Montana’s changing economy and revenues state government collects is unclear. However Headwaters research says there is evidence that changes may be associated with, "a widening gap between where the economy is generating new wealth and where Montana’s tax structure generates revenue." Representative White says his proposal attempts to go after changes in the economy by including internet businesses in the 2.5 percent sales tax, which he says will also tap purchases of the visitors that make up Montana’s growing tourism industry. "If not this, then what? If not now, when?" White expressed frustration over the Legislature’s willingness to study the issue in recent years without taking steps toward changing policy. He offered a similar bill in 2017, which failed. In Montana’s 2016 governor’s race, both the Republican and Democratic candidates strongly opposed a sales tax, too. Three-term Republican Rep. Mark Noland says he understands the unpopularity of a statewide sales tax, even within some members of his own party. However he says it’s time the state consider the idea. "We need to shift or change how we assess our citizens; and this bill will do that. If you dig deep down into what this bill does, you will see this is a relief. This is a win," Nolan says. Opponents of House Bill 300 included groups of local governments, the Montana Department of Revenue, the Montana Chamber of Commerce, and advocates for low-income people. 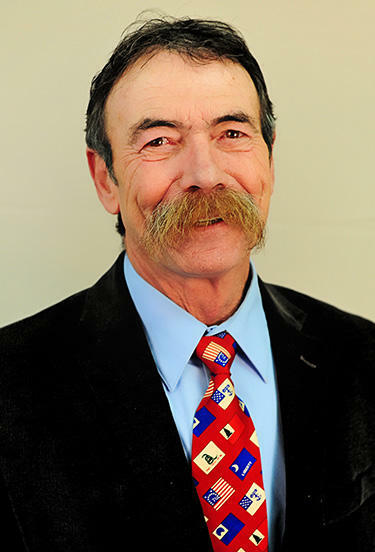 Tim Burton is the Executive Director of the Montana League of Cities and Towns. He says the stakes are high and such a significant change could impact the ability of local governments to pay for basic services like police and firefighting. Burton says the state should make an investment to come up with a well vetted policy on tax reform, and ask some basic questions. "What is the tax structure in Montana? What has it been? Why has it changed? What should it be?" Montana is among five states in the nation without a statewide sales tax, according to the D.C. based Tax Foundation. Another D.C. based think tank, the Institute on Taxation and Economic Policy, puts Montana’s current tax system among their top ten most equitable systems in the country, in part because there’s no statewide sales tax. However ITEP research also indicates the poorest 20 percent of families in Montana pay more of a share of their income in taxes than any other income class in the state. Heather O'Loughlin with the Montana Budget and Policy Center says a sales tax would impact low income families more than rich ones because more of their household money is spent on goods and services. "Such as toothpaste, shoes for kids and car repairs." O’Loughlin also expressed concern that House Bill 300 would result in a smaller amount of revenue coming into the state potentially leading to budgeting problems. The sponsor of the bill disagrees. Nearly every opponent of the proposal thanked Rep. White for furthering the conversation about a review of Montana’s tax system amid concern over how it aligns with a changing economy. However it’s unclear when or how the debate, which often wades into political attacks, will continue. Gov. Steve Bullock’s Office blasted the bill shortly after its hearing, calling it an example of Republicans protecting wealthy property owners and out-of-state millionaires. The Montana Democratic Party also criticised the bill and Republican leaders that have supported a sales tax. The House Taxation committee did not immediately vote on the bill Wednesday. The Montana House narrowly approved a bill Monday to make it harder for state lawmakers to raise taxes. The Republican majority advanced House Bill 148 despite a handful of their party joining Democrats in opposition. The Montana House gave initial approval Tuesday to an amended sexual harassment policy for the Legislature. The policy is in a package of rules that also includes a controversial plan to remove notices when proposed legislation might violate the state constitution. Democrats protested, but ultimately voted alongside Republicans to approve new rules for their conduct in the Legislature. A new regional Chamber of Commerce has formed in Eastern Montana just days before the 66th session of the Montana Legislature convenes.